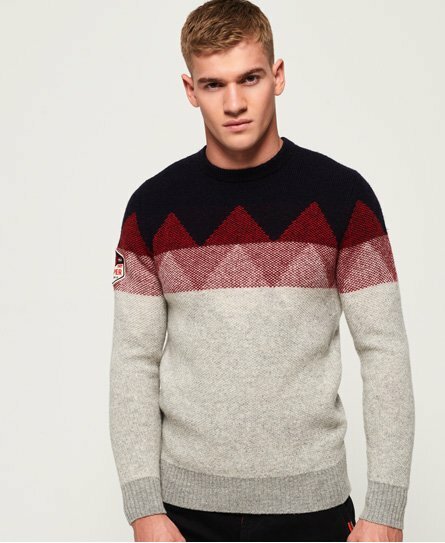 Superdry men’s Vigo Fairisle crew jumper. Stay cosy with this crew jumper, featuring a ribbed neckline, hem and cuffs and a logo badge on the sleeve. Team this with your favourite jeans or chinos.